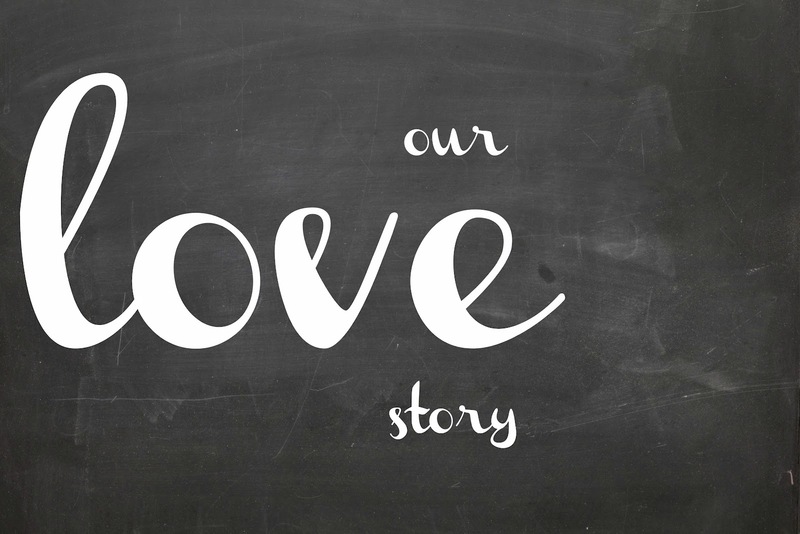 our love story. chapter two. I couldn't keep you waiting any longer. After Chapter One it was time for me to dish out some more of our love story in this here Chapter Two. After being matched online there are a set of questions you ask for one another. Most are pretty generic but hopefully help you weed people out in the beginning if you have certain 'deal breakers' and know things won't work out because of x, y, or z. Well, Benjamin kept answering the questions quite well and so we got to the step, quite quickly, where you can start emailing. I blame his boredom in Montana and my failing company at the time to be the reason why we had more time than usual to respond to one another. In one of the first email exchanges Benjamin suggested we become Facebook friends. Again my first reaction was "No way! I'm doing this to get away from the shallow confusing Facebook relationships out there!" I suppose a part of me felt like I wanted to know one another outside of that world. Then again, I had this blog and that showed a lot about me and I figured seeing his Facebook would tell me a lot about him. Fine. I'll do it. Seeing his Facebook profile didn't alert me to anything specific and just showed me more about the things he likes- planes, motorcycles, his truck, his house, hunting- and confirmed to me that he was close with his family. While chatting with some friends about all of this I was telling them he seemed nice and all but I should just end it. I wasn't moving to Montana. "Oh C'mon Laura. He's cute. Just keep talking to him." "But I need to get my monies worth! I should just end it..." Clearly I kept talking to him and no one else. It was next, fairly quickly, that we decided that we should talk. But not just on the phone, over video chat. We picked a night and I remember casually leaving my friend's house to head home and get on the computer. I didn't primp or do anything special. Sure I made sure I looked fine, but there was no special lipstick applied. I figured it would be an awkward 20 minutes and then we'd end it and pick up the next day over email. I got home, sat in a chair in my room, and we talked for 2 hours. I think we smiled for 2 hours too. I remember thinking, "really God, really?" He seemed so genuine, so trustworthy, so honest, and yes, so cute. We talked about quite a bit it seems, from how we were raised to what we liked to do. The best part? I wasn't awkwardly pacing my room for 20 minutes, or 2 hours, getting inside my head wondering what he was doing. And again, the best part of video chatting was really being able to see one another, after all, E Harmony pictures can lie. But what happened next? Well, that's for Chapter Three. This is so fun to read. I may have to steal the idea for my blog. Oooh, I can't wait to see how it ends. Heehee. This is fun to go through this journey with you again. :) Love you three! You make things so fun and interesting! No wonder he kept coming back! OK, so.... then what happened!??? This is just like a soap... amazing to read and then anxiously await the next episode!